The Student Development & Counseling Center (SDCC) offers free personal development programs on a variety of relevant focus areas, such as team dynamics, stress, and conflict management. These programs are available to any group, club, or organization on campus. When life gets busy, sleep is often the first thing to go. This program will provide an overview of sleep, its function, common sleep problems, and strategies aimed at improving sleep habits. Participants will enjoy a guided relaxation exercise they may use to help themselves fall asleep. The college years are a time of experience, learning, and growth. What is the reality of relationships for students here at WPI? How do you make new friends? How do you share a room with someone else? Why do some people seem to make no sense sometimes? What about dating? What does gender have to do with expectations? What is a healthy relationship? This program will involve real, honest conversations about how to navigate the sometimes tricky world of people. The program can be given to either co- ed or gender-specific groups. You’ll benefit from examining your own reactions to stress and learning techniques—such as relaxation, meditation, and self-hypnosis—to manage stress and anxiety. 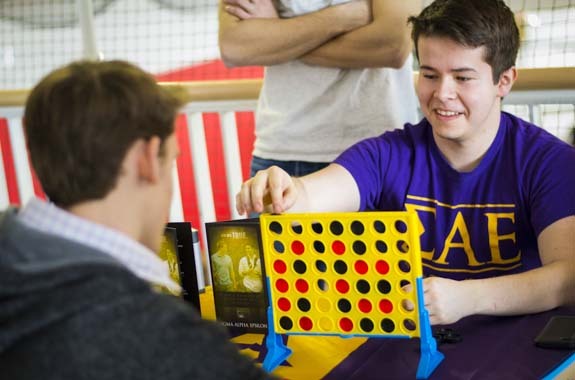 The SDCC holds guided imagery/stress reduction workshops throughout the academic year. Our ability to recognize and effectively resolve conflict is critical to establishing trusting work and personal relationships. This program helps you understand different conflict comfort zones. You’ll learn to identify how and where conflict typically arises, and consider various strategies to manage and resolve difficult situations. In the business world, people are often expected to work effectively with others in project teams. Through this program you’ll gain an understanding of your individual personality style as well as the styles of others, and learn how to deal with conflict and work effectively as a team. To schedule or learn more about a program, email the SDCC or call them at 508-831-5540. I have used the SDCC when I was having trouble with my sports team season. They were able to help me outline a communication strategy between myself and my coach to prevent any frustration and/or sadness I was experiencing due to lack of playing time.